Whether you suffer from asthma or someone you love does, you and your family have the right to be in control. And you can. Beating Asthma: Seven Simple Principles tells you how, for both adults and children with asthma. In this supportive, easy-to-read guide, asthma specialist Stephen Apaliski, MD, shares the allergist’s “secret” formula to putting asthma back in its place. •design a customized action plan to avoid frightening attacks and keep daily life largely symptom free. It’s time to live life on your own terms. It’s time to breathe easy. 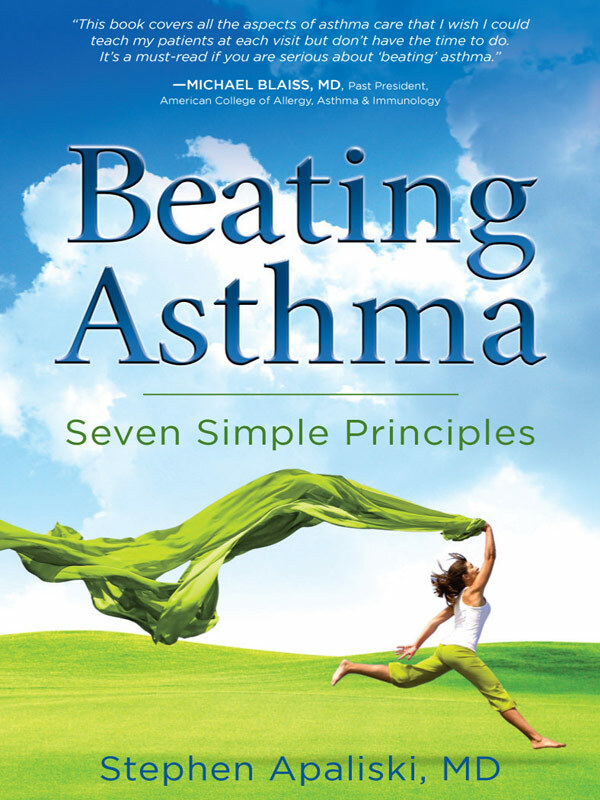 With Beating Asthma: Seven Simple Principles, you can. You can purchase the book online from Smashwords in multiple eBook formats at https://www.smashwords.com/books/view/145044.